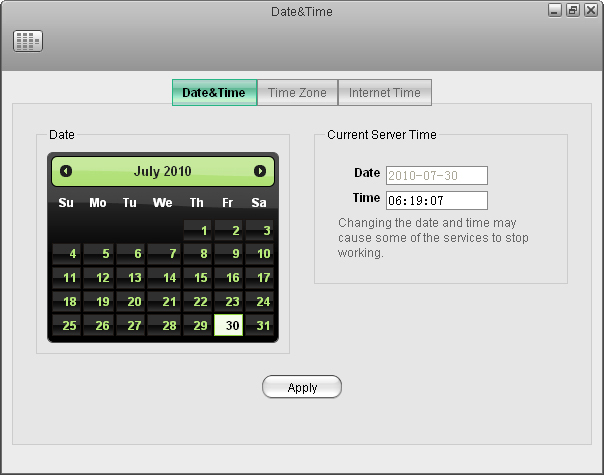 Configure the system date and time of your network drive. Changing the date and the time may interrupt some of the services that rely on date & time. If possible, finish all file transfers and downloads before you change these settings. Date Set the server date by selecting the date in the calendar. Time Enter the system time in hours:minutes:seconds (e.g. 13:15:07). 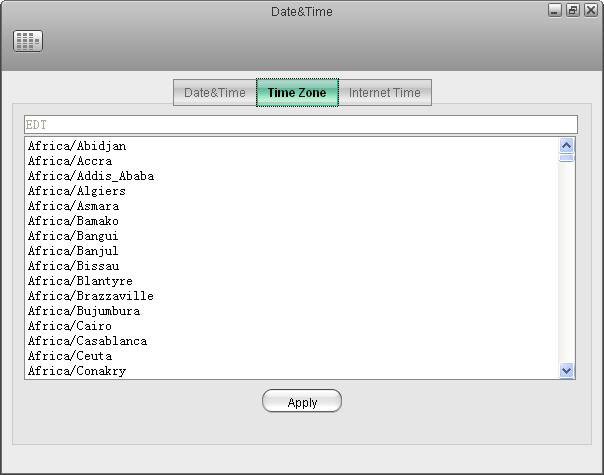 To set the time by time zone, select the city closest to your home from the list of available cities and then click Apply. 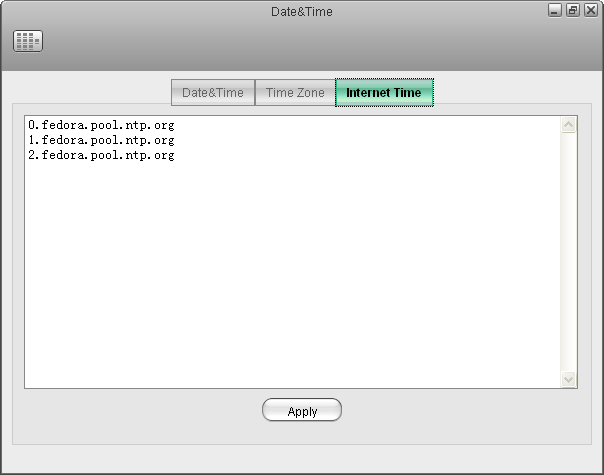 Select one of the time servers from the list and then click Apply to synchronize the time over the internet.